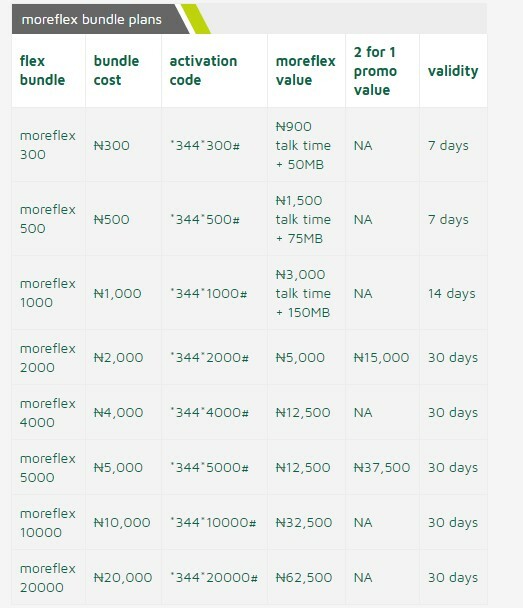 9Mobile Nigeria has announced some sets of new tariff plans, and here in this post, I'll explain what you need to know about these new tariff plans so you'll be able to choose the one that best suit you. How To Know Your Current Tariff Plan? 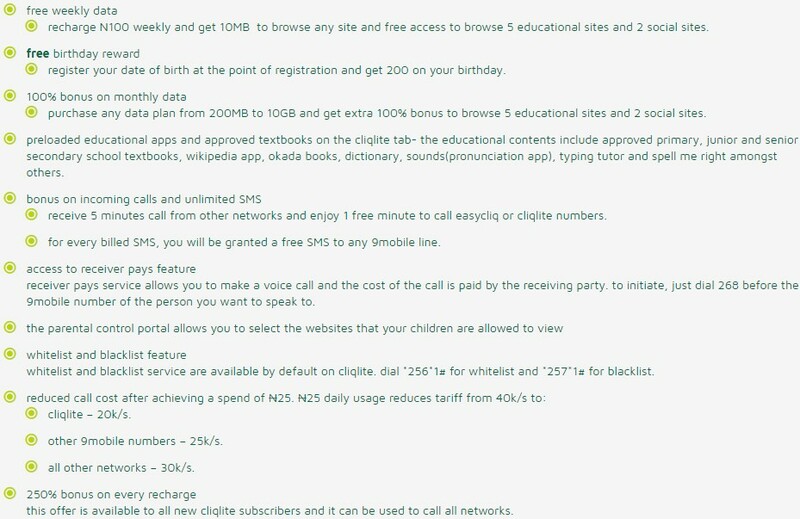 In case you aren't sure of the particular tariff your SIM is currently into, you can dial *200*1*6# to check. Now that you have known your tariff, permit me to show you the benefits of other plans in case you prefer Tariff with cheap call rate over those with expensive call rate. >> When you recharge N200 you get free N300 for seven days to call five 9mobile numbers on your 'You and Me list". You get N100 for seven days when you recharge N100. >> Free 10MB data week by week when you make a weekly recharge of N100 least. (Just as it use to be). >> Call receiver can enable you to make calls and pay on your behalf when you don't have airtime. >> Default call rate is 40k/sec yet it drops to 25k/sec on all networks when you use more than N25 daily. >> To migrate, just dial 200 and select 1 or, you can also use the USSD code *244*2#. >> Free midnight calls from 12:30am to 4:30am. >> Call rate from morecliq to morecliq subscribers drops to 15k/sec when you use more than N25 every day. 20k/sec to ordinary 9mobile lines and 30k/ sec to different networks. >> Free 15MB data week by week when you make a recharge of N200 least. (Just as it use to be). 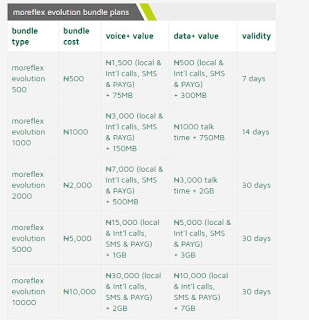 >> Default call rate is 20k/sec to 9Mobile networks, for different networks is 40k/sec. Dial the USSD code *244*1#. to migrate to morecliq. >> You get more than 300% reward when you purchase flex of 4000, 10,000 and 20,000. When you purchase bundles of 300, 500 and 1000 you get more than 300% reward. >> When you purchase flex of 2000 and 5000 bundles, you get 150%. >> You get a third bundle free when you purchase the same flex bundle of 2000 and 5000 sequentially. >> General rate is 40k/sec and N4 on each SMS. >> When you make a recharge of N5000 or more in a month, you enjoy free incoming calls while roaming on selected networks in 6 nations. UK (vodafone), US (T-mobile), South Africa (vodacom), UAE (9mobile), Netherlands (KPN) also, Saudi Arabia (mobily). Service is valid for 30 days. >> To check your balance, dial *232# . To quit all moreflex package dial *344*0# . >> Calls to all networks is charged at 15k/sec in addition to a daily opening charge of N5. >> Calls to 7 global nations (UK, USA, China, Canada, India, Germany and Malaysia) are likewise charged at 15k/sec. >> SMS is charged at N4 each. >> When you make a recharge of N5000 or more in a month, you enjoy free incoming calls while roaming on selected networks in 14 nations. South Africa (Vodacom), Spain (Vodafone), Ghana (Vodafone), Kenya (Safaricom), France (Orange), Saudi Arabia (Mobily), Morocco (IAM), Netherlands (T-mobile), Germany (T-mobile), Turkey (Turkcell), and Egypt (Vodafone).). Service is valid for 30 days. >> To migrate, send 1 to 620 or dial the USSD code *620*1#. >> To check your balance, dial *232# . To affirm the bundle dial *244*3# . >> You get more than 300% reward when you purchase moreflex evolution of 500, 1000, 5000 and 10,000 voice plans. >> When you purchase moreflex evolution 2000 voice+ you get more than 300% reward. >> When you purchase flex evolution 10,000 data+ you get up to free 7GB data. >> When you make a recharge of N5000 or more in a month, you will get free incoming calls while roaming on chosen networks in 14 nations. Ghana (Vodafone), Kenya (Safaricom), France (Orange), Saudi Arabia (Mobily), Morocco (IAM), Netherlands (T-mobile), Germany (T-mobile), Turkey (Turkcell), and Egypt (Vodafone). >> Service is valid for 30 days. >> To migrate dial *320#. To check your balance, dial *232# . 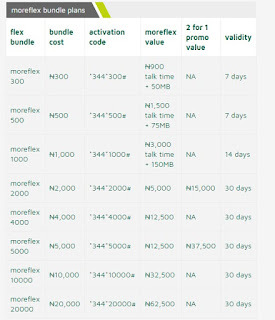 To quit all moreflex package dial *300*0# . 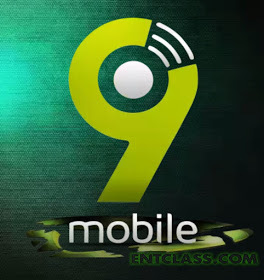 >> You get up to 80% off on calls to other 9mobile numbers as low as 12k/sec. >> To migrate, basically dial the USSD code *244*8#. >> You additionally get 250% reward on each recharge on the off chance that you are another cliqlite subscriber. You can use the reward to call all networks. To migrate, dial 200 and select the choice 5 . For existing subscribers, dial *244*10#. 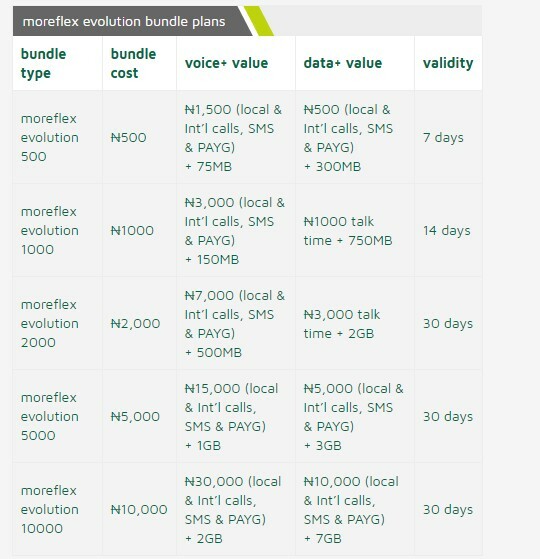 As you can see, 9Mobile Morecliq is the cheapest call tariff among them. Which do you think you can go for? Really, no much difference and these specs makes no sense to me.